For the most part, I leave work everyday with the hopes of making delicious dinner that evening. I try to pick meals in advance to cut down on stress (more like my indecisiveness), and try to stock the kitchen over the weekend. In a my perfect dream world there would be no traffic, I'd leave work on time every day, and my kitchen counter would be already prepped with cute little metals bowl filled with spices, ingredients chopped, meat washed and olive oil bubbling hot on the stove. Apparently in my dreams I live on the set of the Martha Stewart show, mixed with a little Rachel Ray. 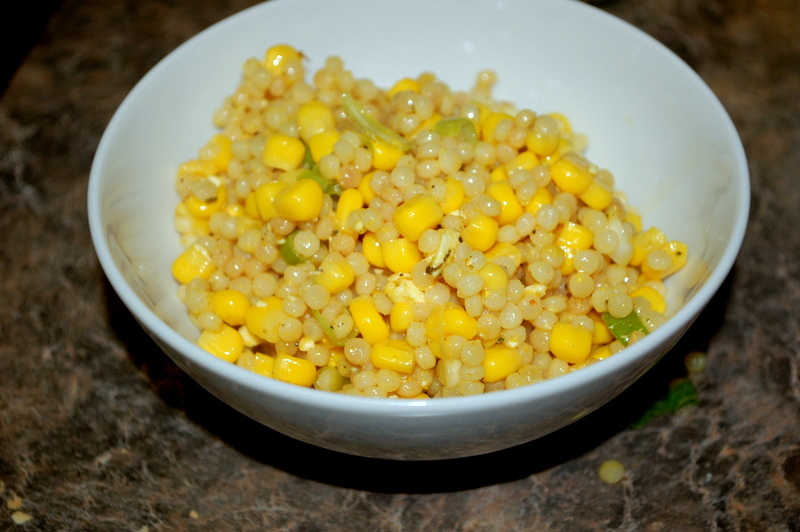 Thankfully, there are dishes like my Summer Israeli Couscous that lend themselves to my 6:15/6:30 p.m., stressed, filled with road rage, hot and worried about a million things, brain on the weekdays (which is not pretty). 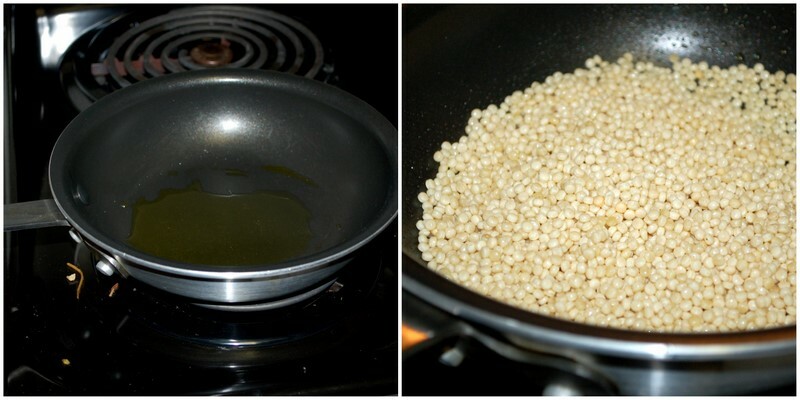 First, heat some extra virgin olive oil in a saute pan, then adding your couscous pearls. I usually use 1 cup of couscous. Stir it until the pearls start to turn golden brown, which should only take a few minutes. Then add 1 1/2 cups of chicken broth. I try to buy low sodium and usually buy it from Trader Joe's (my favorite! ), since most cans of chicken broth at the market have insane high sodium. The pearls will begin to absorb the moisture. Keep an eye on them and stir every so often, but now would be a good time to get your chopping done. Chop the green onions, easy. Fresh corn is better if you have it, but I ran out. Canned still works! 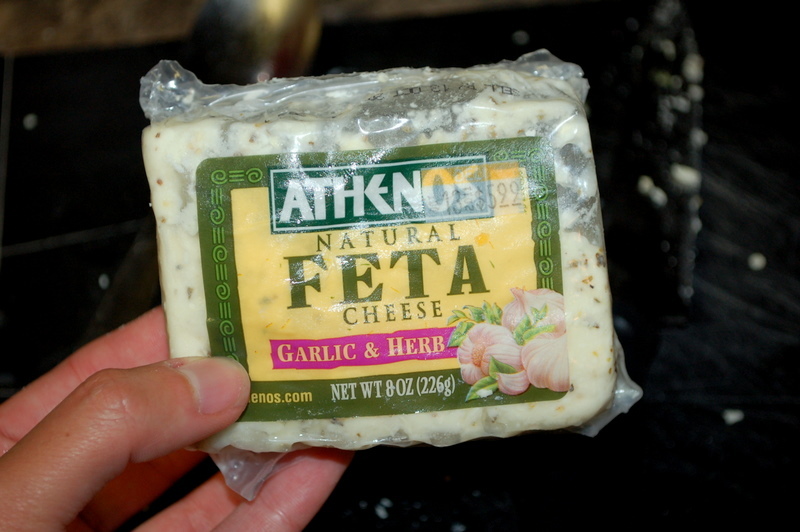 Crumble some garlic & herb feta. Toss together with some evoo, lemon juice, salt & pepper. This time, I added a little yellow curry sauce from Trader Joe's, which is so delicious, but that's up to you. Maybe even a little Sriracha if you want an extra kick! If you're making this a side dish, you can stop here. But if you want to make it a full meal, quickly whip up some chicken OR if you're trying to save even more time you can pick up a rotissare chicken on the way home and chop it up into pieces and throw it in the mix. Oh, this looks good! I would love to try this because I hate coming home from work just to worry about what to eat for dinner (which is probably why I should plan my meals on the weekend...but, oh well). Easy, no fuss is just what I need. Thanks Jillian! It's such a quick fix, and tastes like it took much longer:) Try the yellow curry sauce from TJoes, it's amazing!